A T-shirt is a basic? Are you kidding me? Are you serious when you say that! Many childrenlike their shirts are as close as any other garment. No wonder, the shirt is still the indicator of how big your small Fashion Star is. Can you still remember how proud your child was when he/she was attracted by a T-shirt for the first time? Or as he/she was allowed to buy himself/herself the first shirt? Ah, those were milestones! That children spend a lot on their shirts, you know exactly when mom or dad bought them. How well that let the designer in kids' t shirts as their creativity run wild. Wild printed with photo print, dug deep into the paint pot, provided with cheeky sayings - which makes the selection be endless. But do not worry for your kids because you soon found what. In any case, the current trends correspond with the latest children T-shirts. For if anything goes and fits. Butremember that tell time better and not your offspring! Otherwise wobbles thy throne with a vengeance as the top fashion instance in your household. Specialized in kids clothing for over 20 years, Guangzhou Gaoteng Garment Co., Ltd. is dedicated to provide wholesale designer kids clothes for oversea customers or custom-make their own brand children's apparel. Please contact us to establish long-term business relationship with us. 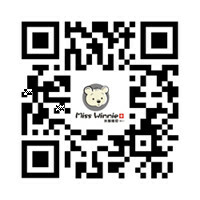 Our official site is Winnie Kids Clothes.